Global publisher DK, known for its releases of LEGO-themed reference books like Ultimate LEGO Star Wars and LEGO DC Superheroes: Build Your Own Adventure, today announces their next special edition book — an updated edition of The LEGO Book. The 280-page book will celebrate both the 60th anniversary of the LEGO brick and the 40th anniversary of the LEGO minifigure, and will guide its readers through the incredible story of the world’s most famous toy manufacturer. Besides being updated with pictures and facts on the latest LEGO themes and products, The LEGO Book will include stories about how some fan creations have become official LEGO products though the LEGO Ideas program, and much more. 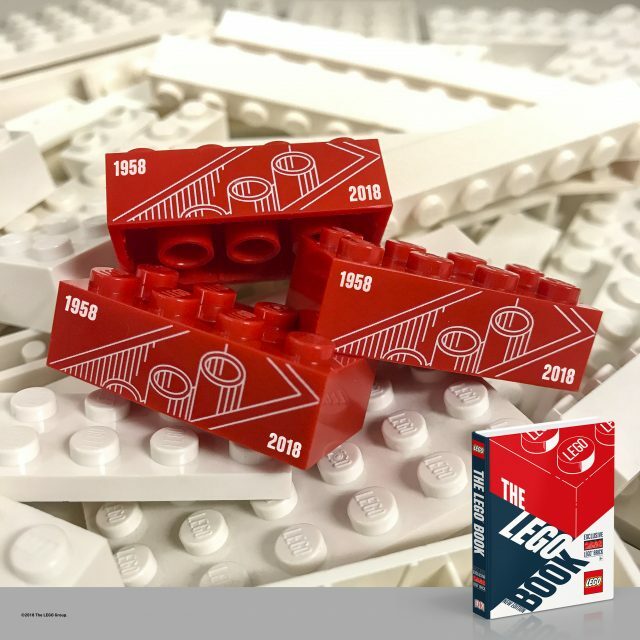 Moreover, the book will come with an exclusive, red 2×4 LEGO brick featuring an outline of the LEGO brick design and the dates 1958 and 2018, symbolising a piece of the company’s heritage. The LEGO Book will be available starting October 4, 2018 and will retail at £18.99 in the UK. You can read the full press-release below. DK is proud to reveal an exclusive 60th anniversary printed LEGO brick which will be part of the new edition of The LEGO® Book, publishing on 4th October 2018. This special edition of The LEGO Book has been fully updated and expanded to commemorate the 60th anniversary of the brick and the 40th anniversary of the LEGO Minifigure. The exclusive red brick includes the dates 1958 and 2018 printed in white, plus the outline of the LEGO brick design. The book features information on how LEGO bricks are made, the LEGO brand plus spreads on how amazing fan creations have become real life LEGO sets, plus more more. 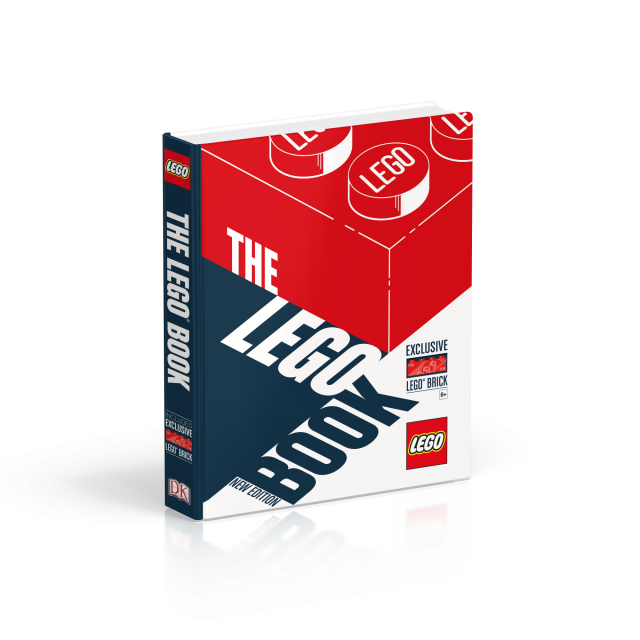 The LEGO Book and exclusive brick have been created in full collaboration with the LEGO Group and is a must-have book for any fan, collector, adult, or child wanting more information on the heritage of this much loved brand.